>> How to Keep a Trampoline from Blowing Away? Jumping on trampolines on the summer days are the favorite past time for not only kids but also the adults. It is true that a huge amount of money is invested in purchasing the trampoline and then ensuring that it is set in the right way. Therefore, it becomes your duty to take care that nothing happens to this investment. While setting up your trampoline, you have to choose an area that is ideal for the trampoline. One of the most important thing that you have to consider is how you can protect your trampoline from being blown away when there are strong winds blowing outdoor. You can place it in that part of your backyard where your trampoline can be shielded from the bad weather. However, you cannot completely eliminate the wind, and in that case, you have to keep your trampoline secured to the ground. This is when the trampoline tie downs and anchors become handy. Anchoring the trampoline to the ground will take care of your trampoline and prevent it from blowing away even when the winds are erratic. On a windy day, a trampoline starts behaving like a giant kite. And, great wind speed is not required for lifting up this giant trampoline. Breezy conditions are not something you need to be worried about, but during a storm, it is obvious that the wind speed will be stronger. If you fail to secure your trampoline properly with the help of tie downs or anchors, it can cause damage to your property, trampoline, and it can also cause unwanted injuries. In this section, we will talk about the methods to keep your trampoline in the ground, and not in the sky. LOL. The best method of preventing a trampoline from being blown away by the wind is by securing it to the ground where it is placed with anchors. There are various manners in which you can do this, and the best manner depends on a number of important factors. These factors include the area in which you live along with the kind of trampoline that you own. A trampoline anchor kit of good quality, which is compatible with the trampoline that you have in your backyard. The trampoline anchor hooks for keeping it secured in one single place. Anchors that are capable of holding your trampoline down even when the day is extremely windy. However, choosing the anchor is dependent on your situation, like the location, type of trampolines, and also the personal taste that you have. Wind Stakes or Anchor Kits? One of the most common questions that are asked when people try to tie their trampolines down is the kind of anchors that they should be using. There are people who debate amongst themselves regarding the simple and the complex anchor kits, and the wind stakes which are much more affordable. 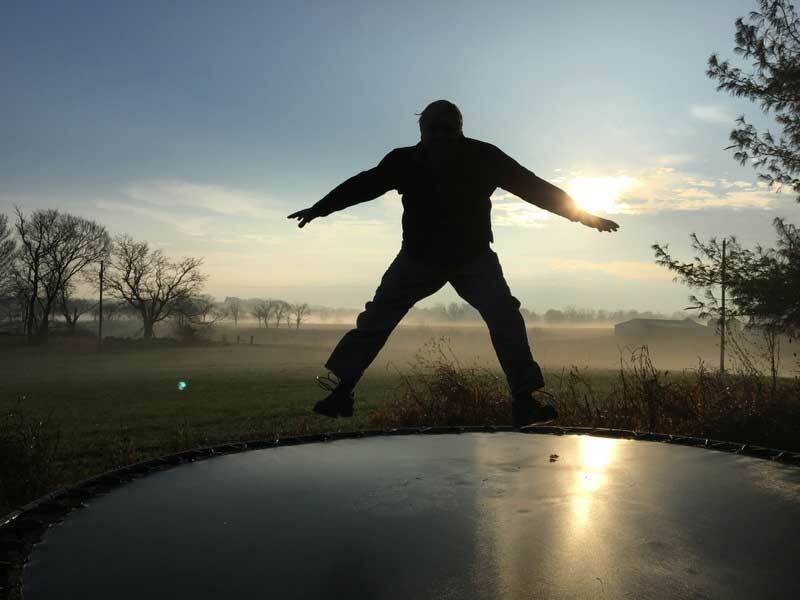 Before using the trampoline wind stakes, you should be well aware of the benefits that they provide. They are not as costly in comparison to the anchor kits. They can be installed easily. The thing that you will require for securing the wind stakes is a hammer. They are usually low profile and do not pose any tripping hazards. Along with the benefits, understand the disadvantages that the wind stakes have. They do not offer any additional support to your trampoline. The stakes can become loose over time when your trampoline is being used almost on a regular basis. If your ground is wet and soft, they can become loose when the strong wind starts blowing. Various combinations are used which ensure that your trampoline will be secured. They can dive deep into the ground, thereby providing a great anchorage. If they are installed properly, they do not become loose even when the trampoline is regularly used. They do not come out when your ground is wet and soft. They are more expensive than the wind stakes. A lot of effort is required to install the anchors. The straps of your anchor kit can be a hazard at certain times. However, if you want to keep your trampoline secured, use the anchor kit or the wind stake, whichever suits you the best. Ensure that your kids and you are safe even if you choose to enjoy on a windy day. Anchoring the trampoline to the ground will secure it completely, and will not cause any harm to your property as well as prevent injuries.